Check Out All Story Quest List & Walkthrough! 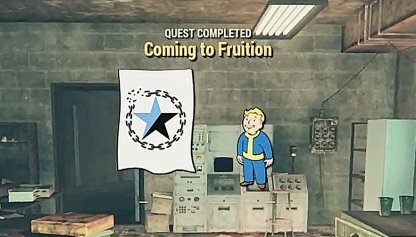 Check out this guide for a full walkthrough of the Coming To Fruition Quest from Fallout 76, including gameplay tips, guides, & more. The amount of rewards that you receive will depend on your player level, as well as other factors, such as miscellaneous objectives. 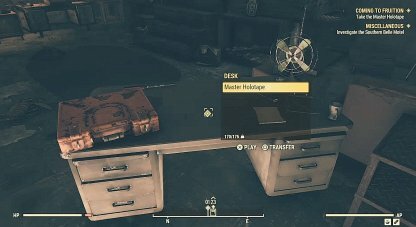 You will find the Master Holotape in the desk in front of the Scorched Detection System's terminal. You will be needing this for the mission, so get it before leaving the bunker! 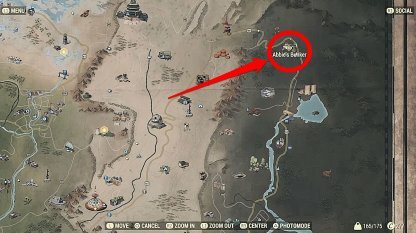 The Armory terminal location is found in Harper's Ferry, south of Abbie's Bunker, and the Southern Belle Motel. Be ready to fight or sneak past lots of Super Mutants and turrets! You will be going through much of the motel's interior as you make your way to Raleigh's terminal. 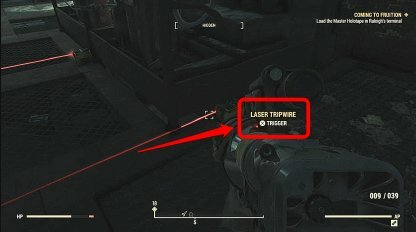 Other than Super Mutants and turrets, you must also keep an eye out for traps that you can set off along the way! 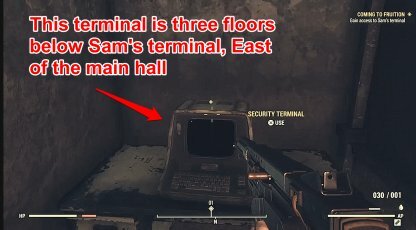 Sam's terminal is found in the Charleston Capitol Building, just East of Charleston. 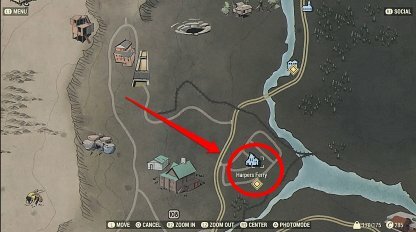 There will be lots of Feral Ghouls inside the building so be prepared with lots of weapons and ammo! You will be able to gain access to Sam's terminal at the Security Terminal in the Charleston Capitol Building. Head to the terminal three floors down, East of the main hall. 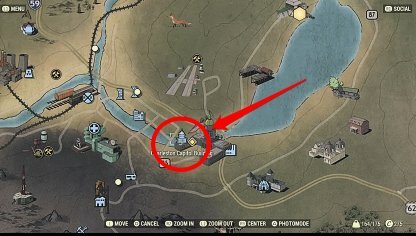 The closest Relay Tower can be found Southwest of Charleston. It is a short walk from the Capitol Building, on a hill just past the AVR Medical Center. 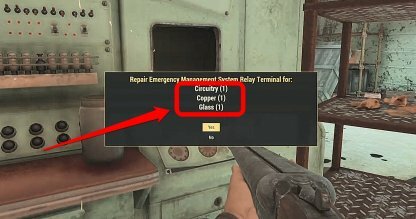 To be able to use this terminal, make sure that you have the following items listed above. This will repair the terminal, and will let you load the Master Holotape into it. 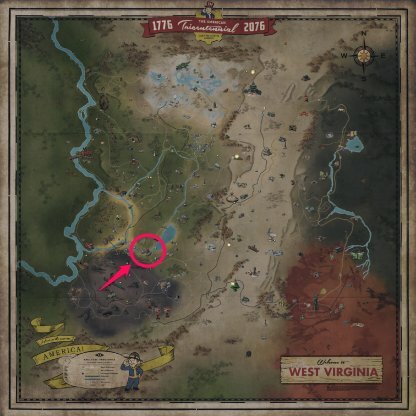 Abbie's Bunker can be found on the far Eastern Side of the map. It is East of the Red Rocket Mega Stop. © 2018 Bethesda Softworks LLC, a ZeniMax Media company. All trademarks, character and/or image used in this article are the copyrighted property of their respective owners. Your feedbacks will be checked by our staffs and will be attended to accordingly. Please be advised that we may not reply to every individual feedbacks. *Offensive, insulting or inappropriate use of forum may lead to ban/restriction. 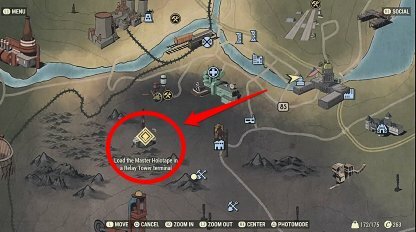 To avoid griefing, you will not be able to post or report for the first %d hours upon visiting this forum for the first time. Copyright (C) GameWith All Rights Reserved.